New Prints from Space Telescope Photos. Astronomical Images show the wonders of the cosmos. 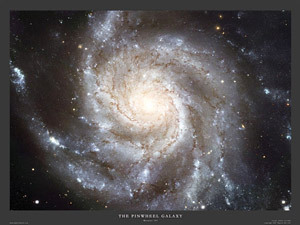 These fabulous Prints will make you think about our place in the universe. All we can say is WOW! More Great New Images from the Hubble Space Telescope! 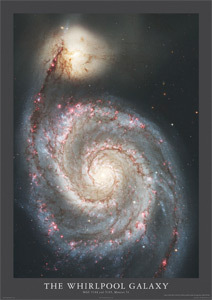 The Whirlpool Galaxy -M51 (Left) and the Hubble Ultra Deep Field (Right). These Gallery Art Prints are stunning! Recently produced by the Hubble Space Telescope, the photo of M51(on the left) is the most detailed image of the Whirlpool Galaxy, ever. 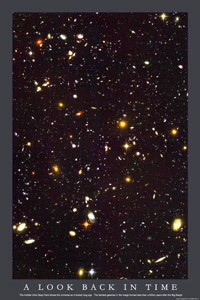 The Hubble Ultra Deep Field (HUDF) goes even further back in time than earlier Deep Fields. These fabulous images are printed on premium quality photographic matte paper and at 24w by 36h in, are meant to be mounted and framed. 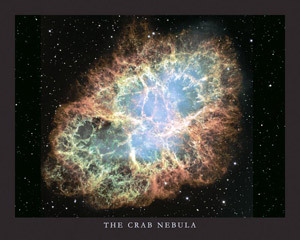 They will become the centerpiece of display in your observatory, your den, or your classroom. Check out our other great Astro Prints, including Mars panoramas, and our 7 foot Milky Way Panorama. 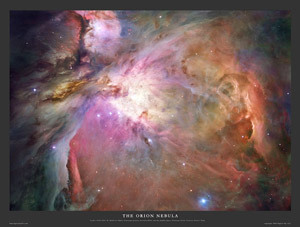 This wonderful astronomical image is now available as a high quality gallery print. Printed on large format inkjet printers with photographic matte paper, it is designed to show fine detail, color fidelity, and last a long time. Order items from the Product List or the individual item page.